They’re rly close w/ their fans! WINNER has captured the public’s ears with simple melodies and honest lyrics and are now the winners of the music industry. MC: Can u show a little bit? Y: It wasnt me! Its not mine! Its Kim Mincheols! 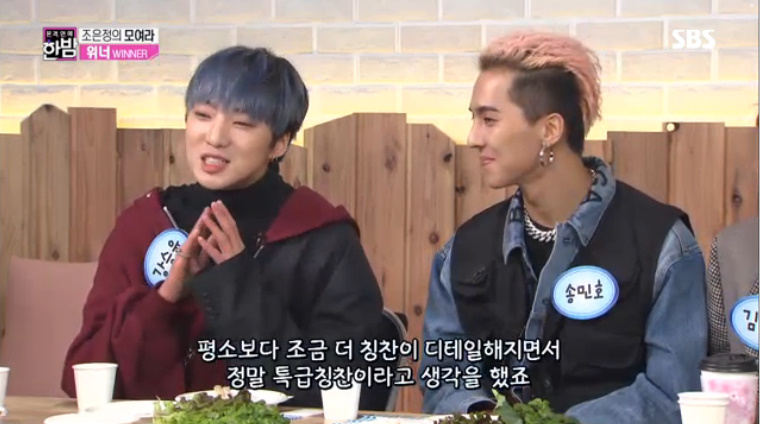 MC: Do u remember your first pay after debut? H: We were all debtors?! Q. What other charms do u want to show to the public? H: One Night is the best! Q. What is #WINNER's trademark?